2,082 COLOURlovers viewed this page and think Zuriea is el primo. It's pretty amazing. Energic and nice. Hi, Duklida - Look! We have * 100 * "Loves" now! I say "we" because your palette made all the difference. 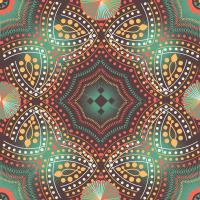 Folks, there's over 100 other patterns based on the same template so I hope you'll give yourself a good time by checking them out. Thank you, thank you - so nice to hear. I can't believe I missed it. This is brilliant!